Congratulations are due to BBC business body Jonty Bloom, who should get an award for the bilge he blathered to justify the fact that the Conservatives and Liberal Democrats have engineered the longest drop in wages for 50 years. He blamed employees, saying that they weren’t productive enough. 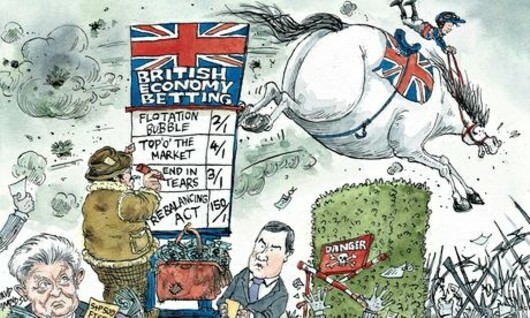 The Office for National Statistics had reported that real wages have fallen by 2.2 per cent every year since David Cameron took over as Prime Minister in 2010 and, as the Tory’s mass-media mouthpiece, the BBC seem to have tasked Mr Bloom with finding plausible deniability for the Coalition, so that ministers won’t have to take responsibility. Real wages are worked out by taking the rising cost of living into account while calculating the value of earnings. The ONS report followed one from the Institute for Fiscal Studies on Thursday, suggesting that a mid-range household’s income between 2013-14 was six per cent below its pre-crisis peak. Both of these reports were latecomers to this particular party, though. A Labour Party report from August 2013 stated that prices had risen faster than wages in all but one month of Cameron’s premiership – April 2013, when he cut taxes for millionaires and bank bonuses soared. 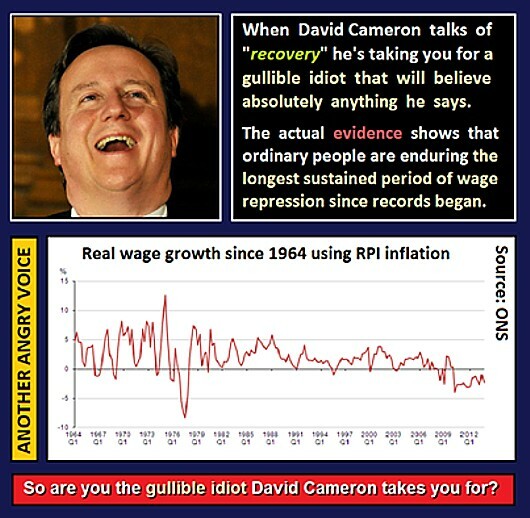 The overall fall in annual real wages was £1,350 at the time that report was written. The Labour report went on to say that figures from the House of Commons Library forecast that, after inflation, wages will be £1,520 lower in 2015 than in 2010, meaning working people, on average, will have lost £6,660 in real terms during the Coalition Parliament. You’ll notice the BBC report only provides percentages. Interesting, that. Over at the BBC, Mr Bloom tried to convince us that “workers have, on average, been working fewer hours during the downturn and that in turn has meant that they are earning less. He also suggested that a shift from higher-paid manufacturing jobs to lower-paid service jobs had contributed. Sadly for Mr Bloom, we can punch holes through all of his arguments. Firstly, this is the government that insisted private sector jobs growth would outweigh the loss of public sector jobs it was going to inflict on the country. That claim alone suggests that ministers may have pressurised firms to keep employees in-post. But the downturn meant there was less demand for firms’ products. How could they remain viable? Answer: Cut the hours worked by employees. Could this be the reason part-time and zero-hours contracts have exploded during the course of this Parliament? Part-time workers have fewer holiday entitlements and do not cost employers as much in National Insurance. Zero-hours workers are only called when they are needed and therefore the firm’s overheads are hugely reduced. Bosses benefit while workers go without. Could this also be why firms have hired outside contractors on a self-employed basis, paying them a set amount per job, no matter how long it takes, in order to bypass the minimum wage law? Contractors earn less than the minimum wage but work far longer hours (without upsetting Mr Bloom’s average). The productivity of a worker depends on how long they are working; part-time or zero-hours employees work for less time and therefore their productivity cannot be anything but lower than a full-time worker. Self-employed contractors’ pay is fixed in companies’ favour from the start. Mr Bloom’s argument is based on a wages fiddle. Oh, and that shift from manufacturing to the service industries? Isn’t that something the Conservative-led Coalition has vowed vehemently to reverse, while doing spectacularly little about it? I think it is. One personal note: My own experience as an employee suggests that firms’ financial woes have far more to do with the idiotic decisions made by executives than with the output of employees. Changes in the market do not lead to inventive and innovative responses; instead, the workers are penalised with lower wages or unemployment. This puts firms in a slow death spiral as continual erosion of the workforce makes managers increasingly less able to cope with the challenges that, unaddressed, rack up against them. So congratulations, Jonty. You carry on blaming the workers if you want. It won’t make a scrap of difference because the real problems lie with the decisions made by company execs, responding to stupid Tory policies. What a shame you can’t say anything about that because your employers are so utterly under the Tory thumb. Vox Political works to ensure YOU read the facts. But this cannot be done without funds. 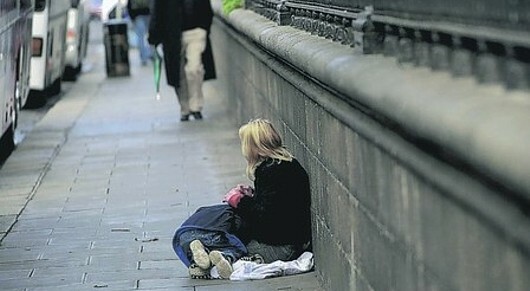 Poverty: The situation’s bleak, but the future looks worse! We all owe a debt of thanks to the Joseph Rowntree Foundation for its work to reveal the depth of poverty in British society today. The Foundation’s latest report reveals that – even by standards that have slipped since the Coalition government came into office – in-work poverty has galloped ahead of that suffered by those in workless and retired families – proving once and for all that, under the Tories and Liberal Democrats, work doesn’t pay! But the situation is actually worse than the figures suggest, because the poverty line is always 60 per cent of average (median) income – and incomes in the UK have been dropping. Some say the average is now seven per cent lower than in 2010; others say nearly 10 per cent. This means that, if we add in the people in working families who would be below the poverty line if it had remained at, say, 2008 levels, another two million people would be considered to be in poverty. These people are no better-off than they were before the poverty level slipped; they can’t buy more than they could before – in fact, their money goes a lot less far because inflation, even at 2.7 per cent, has hugely outstripped pay increases. Add in the number of workless and retired families who are also in poverty – 6.3 million – and we have 15 million people in poverty in the UK today. That’s a quarter of the population of the seventh largest economy in the world. 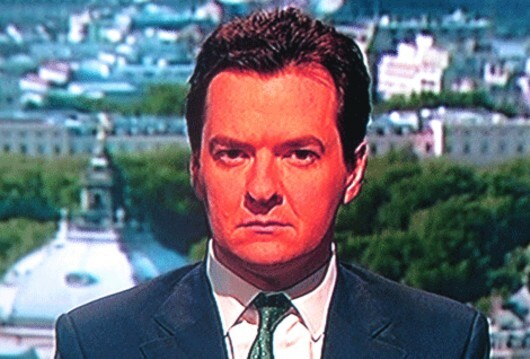 And George Osborne wants us to congratulate him for his achievements over the past three years. Well done, George. You have conclusively proved that you are the worst Chancellor in British history – heading up the worst government in British history. The fall in average incomes in the last two years alone has wiped out all the gains made by Labour in the previous decade – and George has another year and a half to put people in even more serious trouble. Worse still, incomes for the poorest 10 per cent of the population have been falling since 2004/5, because the neoliberal New Labour government did not protect them. These are the people for whom the four ‘D’s – debt, destitution, desperation and despair – will hit hardest. The proportion of low-paid jobs increased in 2012. Remember that, when the government tells you that more people are in work than ever before. They are not telling you that these jobs keep people in poverty. 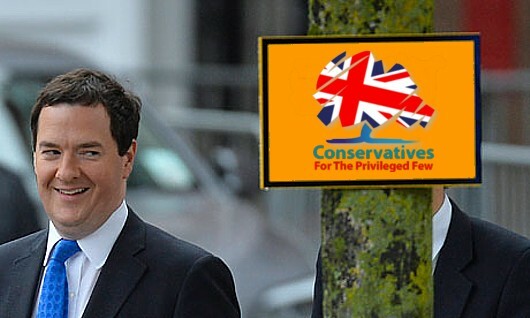 They are not telling you the fact that, under the Coalition, work most certainly does not pay. 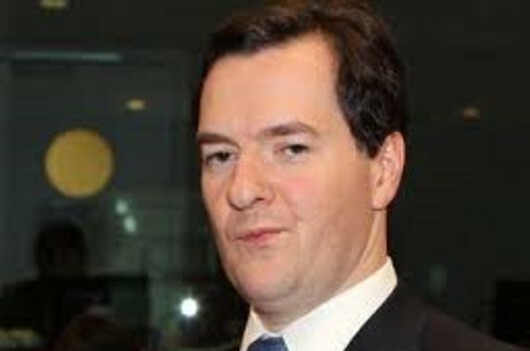 Among those in work, the number paid less than the living wage rose from 4.6 million to five million in 2012. 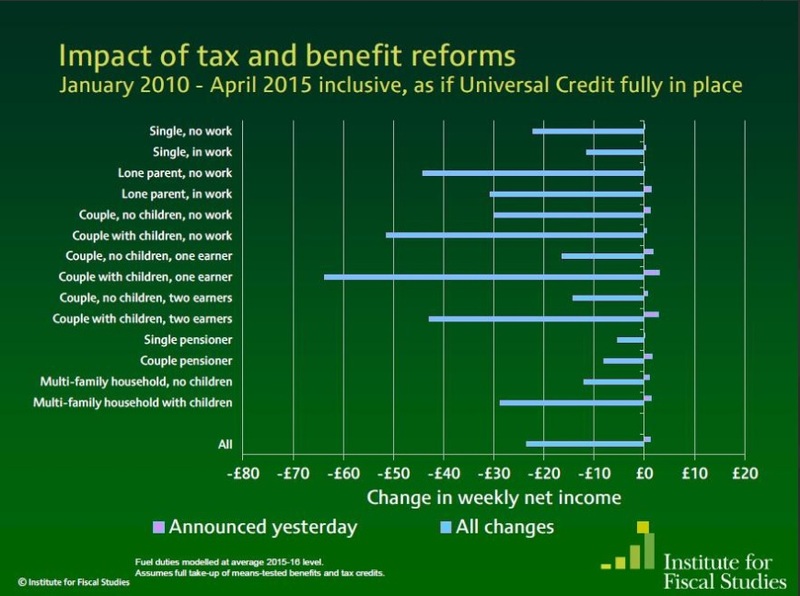 This means 400,000 more working people are having to claim benefits to make ends meet. Work does not pay. The five million figure is one-sixth of the total workforce and includes two million people who had never previously claimed. Meanwhile, those in benefit are being pushed into very deep poverty by sanctions, the effect of overlapping changes to social security benefits – which the government has again and again refused to measure, and the falling value of benefits due to the Chancellor’s one per cent uprating cap. More sanction referrals were made on the unemployed between 2010 and 2012 than there are people currently claiming Jobseekers’ Allowance (1.6 million, against 1.48 million claimants) – and 800,000 benefit stoppages or reductions were approved. This impacts on the government’s jobless figures, which do not include the number of jobseekers under sanction. 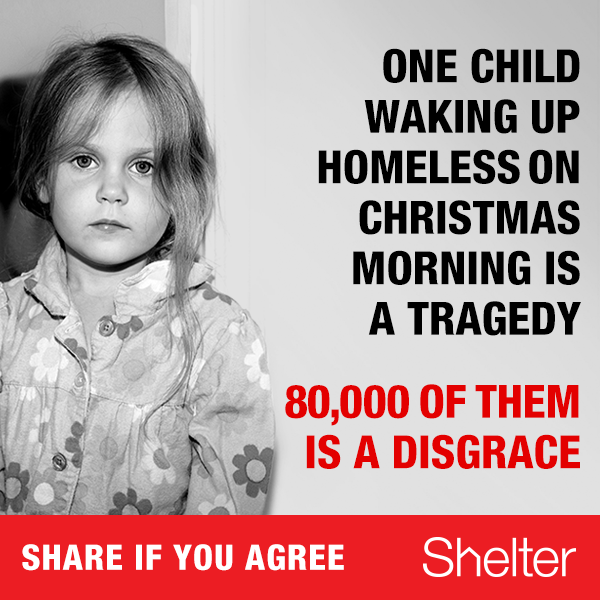 Think about it – 800,000 is more than half the number that official figures show are out of work. Also, we know that Workfare is being stepped up, in order to fiddle the figures even more seriously. The Bedroom Tax and council tax benefit cuts have hit 400,000 families, of whom around 267,000 families were already in poverty. It is in this context that Iain Duncan Smith feebly attempted to distract attention away from the damning facts by telling the Telegraph that 50 families were each earning around £70,000 in benefits before his benefit cap (the £26,000-per-year, not the one per cent uprating limit) was brought in. While this may be a shocking figure for some people, he did not provide the full details. How many people are we discussing, per family? Will the cap push them below the poverty line? Considering the facts laid out above, would a job relieve poverty for these families – or make it worse? Smith – or ‘RTU’, as we call him here (it stands for ‘Returned To Unit’, a reference to his dismal Army career) – has yet again insisted that his diabolical changes are making the system “fair”. Anybody who repeats an assertion such as this, as often as he has, knows that nobody believes it. Today, he is due to go before the Commons Work and Pensions Committee to account for his persistent interference with the statistics. Expect bluster and bravado but do not expect the facts. For example, he will never admit how many people have died from the poverty caused by his assessment regime for Employment and Support Allowance. That figure alone could bring down this government. We all know that pensioners have a charmed life under the current government – right? Pensions take up around half the £160 billion social security budget and there are other perks like the cold weather payment during the winter months, free bus passes and free TV licences – right? They get a triple-lock inflation guarantee, under which the state pension rises according to the highest of CPI inflation, the rise in earnings or 2.5 per cent. They get Pension Credit (otherwise known as the Minimum Income Guarantee) to ensure they receive a weekly minimum of more than £140. So no matter what happens to the rest of us, they’re in clover – right? Just taking those examples, Tory Liam Fox wants to cut the cold weather payment down to nothing, and the Liberal Democrat Vince Cable wants to means-test or tax pensions. 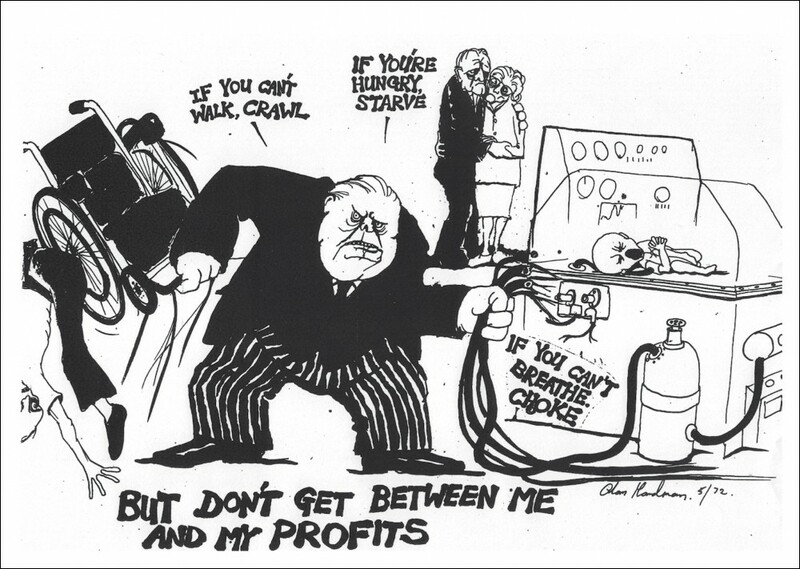 The free TV licence will disappear if the rising clamour to privatise the BBC receives government blessing. Then there’s the fact that the age at which we can start drawing our pensions is rising – from 65 (for men) and 60 (for women) in 2010 to 68 (for both) by 2046, which may seem a long way into the future but in fact affects people from 2016 onwards. The government is bringing this in because people are living longer, and this may seem like a reasonable idea – until one takes into account the fact that life expectancy is hugely dependant not only on where you live but on your social class as well. For example, in Kensington and Chelsea, average male life expectancy in 2010 was 85.1 years, and average female life expectancy was 89.8 years. In Glasgow at the same time, average male life expectancy was 71.6 years – 13.5 less than men in Kensington and Chelsea – and average female life expectancy was 78 years – 11.8 years lower than in Kensington and Chelsea. Between 2004 and 2010 the gap in life expectancy between the two places increased by one year and 1.7 years for men and women respectively, indicating that health inequalities across the UK are increasing. Social class also has a huge effect on life expectancy, with people in higher managerial and professional occupations likely to live 3.5 years longer than those in routine occupations. But they all pay National Insurance contributions for the same period of time – 30 years – in order to qualify for the state pension. This means working class people living in social housing are likely to be paying towards the pensions of upper-middle class professionals in penthouses, as well as their own. Now the government is introducing the flat-rate pension for people reaching the state pension age who have made 35 years’ National Insurance contributions. The payment will be £144 per week at today’s prices. People who have built up large savings for their retirement will be considerably better-off because pensions will no longer be means-tested (Pension Credit will be phased out). Existing pensioners will remain in the old system and are likely to be worse-off than those who qualify for the new pension. People aged in their 20s at the moment may also be worse-off than under the current system (so, even with pensions, the Coalition government has found a way to attack the young). And people who have not paid National Insurance for at least seven years in total will not qualify for the new single-tier state pension at all. Workers who belong to contracted-out final salary schemes pay lower NI contributions at present, but these will rise after 2016. Public sector workers in such schemes will have to pay more. The couple’s pension rate, which is lower than the individual rate, is being phased out. This means around 30,000 women due to retire in and around 2016 are expected to lose out, as they were relying on their husband’s NI record for a state pension income and will no longer be entitled to it. We already knew all of that. 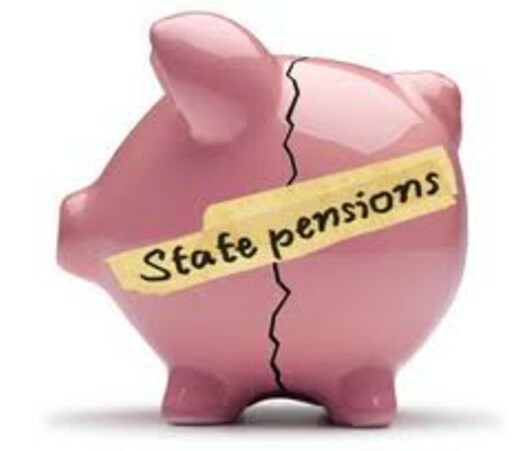 Now, the National Federation of Occupational Pensioners says the government is proposing changes to workplace pension schemes that will undermine benefits, increase pension poverty and widen the gap between the private sector and public sector schemes, according to Mature Times. The proposed changes mean companies will be allowed to change their scheme rules to remove the inflation link for pensions, increase their pension age and get rid of other benefits such as pensions for spouses. This significant downgrade of pension provision means scheme members could reach retirement and then realise that the expected return from their pensions has been severely reduced. Put it all together and the less wealthy are being subjected to another rip-off – this one delayed until retirement. Who knows how much energy bills will cost by then? How many of us will have rent to pay, or mortgage payments to complete? How much will the weekly groceries cost? Will the equivalent of £144 per week be enough, by then? And – in the current cutthroat times – how many of us will survive to find out?